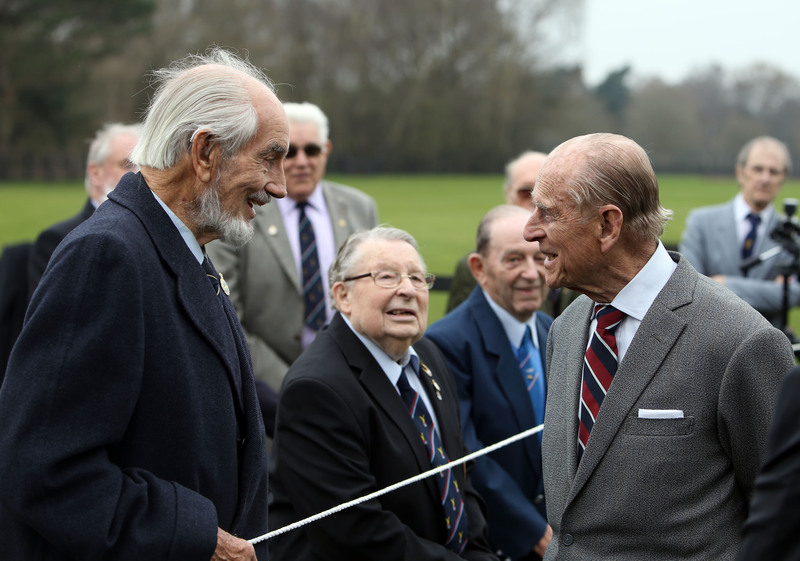 The Duke of Edinburgh yesterday unveiled an Airfields of Britain Conservation Trust memorial marker at Smith's Lawn Airfield in Windsor Great Park, where he said a few words and spoke to veterans following the unveiling. The Airfields of Britain Conservation Trust (ABCT) is a national charity – the first of its kind in the world - that works to honour and protect Britain’s airfields which are being increasingly regarded as this country’s top physical assets. Smith's Lawn was used as a dispersed final assembly factory airfield for Vickers-Armstrongs after a major Luftwaffe attack upon its main base at Brooklands in 1940, and additionally served in World War Two as a relief landing ground for RAF Tiger Moth trainers and base for American military transport aircraft. Following the war, aviation activity from Smith's Lawn quickly concluded and the hangars and other facilities built in wartime were gradually demolished or removed. The Airfields of Britain Conservation Trust was established to acknowledge the enormous and unique contribution airfields have made in numerous spheres since 1909. A memorial is intended to be erected at each known disused airfield site in Britain in order to provide a permanent reminder for future generations.